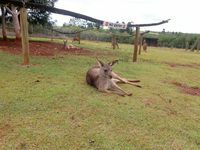 KANGAROOS and an emu have been killed by dogs, and another kangaroo is missing after an attack at Snakes DownUnder at Childers. 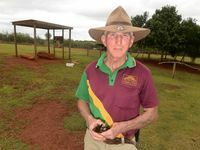 Dog Attack at Snakes Downunder: Kangaroos and an emu have been killed by dogs, and another kangaroo is missing after an attack at Snakes DownUnder at Childers. 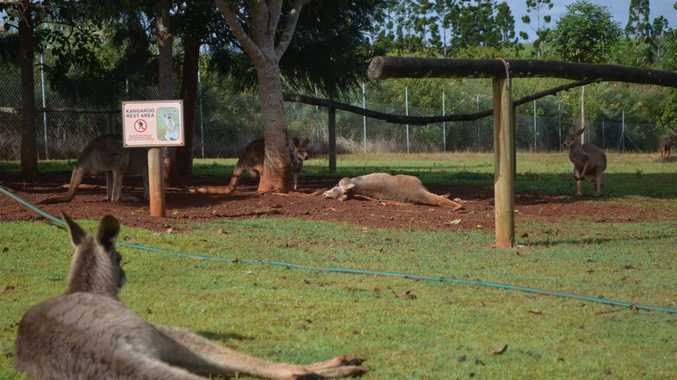 Park owner Ian Jenkins said he found the dead animals on Monday morning inside the enclosure and a dog still inside and another outside the reserve. 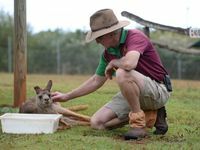 "Unfortunately we found one of the dogs inside our kangaroo/emu reserve along with four of our kangaroos, Lilly, Rose, Calliope and Miranda dead along with one of our emus, Emoo," he said. "The other dog was on the outside of the fence. We found a hole in the chain-lock fence, the bottom of which had been torn off the bottom wire." He said it was unfortunate the animals had paid the price for a dog owner who was not responsible enough to keep their pets restrained. "Man's best friend isn't always so friendly towards other animals when left to roam," he said. 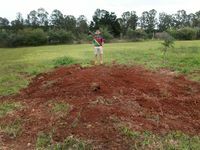 The dog attack comes after an earlier one on July 7 when 14 chickens were killed by two dogs at the park. "The other dog was on the outside of the fence. We found a hole in the chain-lock fence, the bottom of which had been torn off the bottom wire," he said. Mr Jenkins said he was able to contain the dog yesterday morning and it was taken by animal control. Doing a head count on Tuesday morning, Mr Jenkins has realised not only were four kangaroos killed but one is now missing - he fears for its life as the highway is close by. "She doesn't really have a chance," he said. "I've been out looking for her but no luck." Mr Jenkins would like dog owners to take responsibility for their pets. "It's been a sad day for us here, not made any easier by the thought that these dogs may have to be put down," he said. Mr Jenkins said the remaining kangaroos were exhausted and as the species was easily stressed it didn't look good. 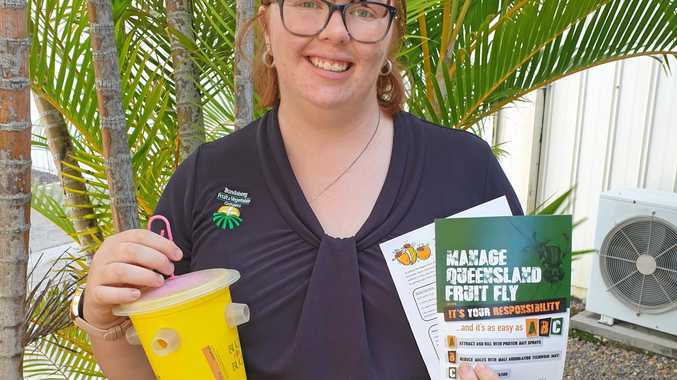 "The movement of Izzy, one of our older female eastern greys is severely compromised although no visible injuries," he said. "One of our local vets was on site very promptly to check on the remaining animals all of who were highly stressed. "Our fingers are crossed for her. Loco, one of our red kangaroo males is very sore and sorry too and hasn't moved much throughout the day."